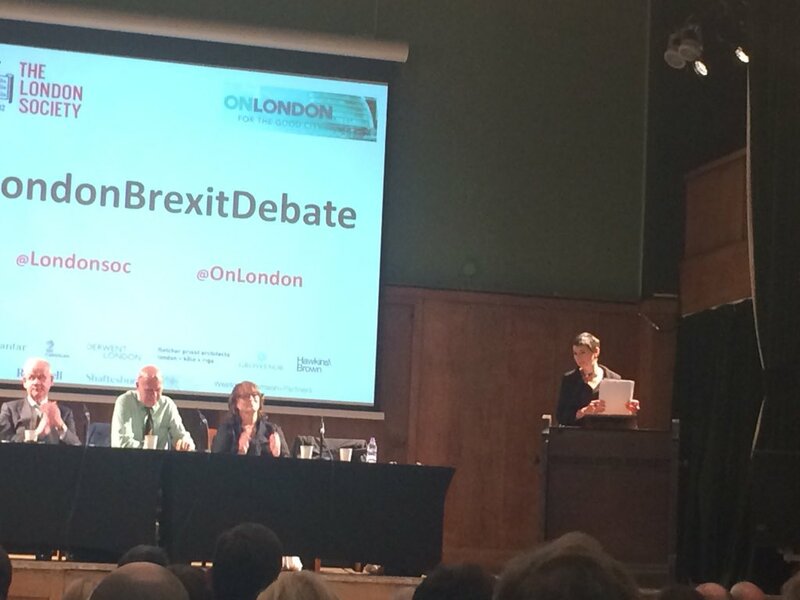 Caroline spoke out against Brexit at the London Society's debate on 13th September: "Will Brexit be good for London?" I have to say that if you have criticisms of aspects of the European Union, you are not alone. I am a passionate Remainer, but that doesn’t mean I think the EU is perfect. I think the decision making process of the EU could be far more open and in some areas its budgets could be better spent. However, I am saying that even with its faults the EU provides huge benefits. Its strengths far outweigh its weaknesses. Yet sadly those benefits are already trickling away from London, even before we have left the EU. London is an outward-looking city. London is a city which has benefited greatly from trading, welcoming visitors, and attracting investment within the EU. London is a city which benefits greatly from having the same language as north America, but the same time zone as western Europe and the benefits of full access to the EU. Brexit is already leading to stalled investment and job losses from the capital. That is a fact. And that impacts on the whole UK economy given the contribution London makes in taxation. London will be poorer because of Brexit. London’s infrastructure will stall. And London will be a less safe place. If you were a Leave voter in 2016 I respect your decision. But I hope for the sake of our city and country that you are now changing your mind..
Read Caroline's full speech at OnLondon.